The PROFESSIONAL INTERDISCIPLINARY STUDIES DEGREE PROGRAM is a “powerhouse degree” that offers customized studies, cooperative learning groups, and a journey to distance, evenings, and weekend classes from program entry to exit during any point in your life’s experiences. CLICK ON ONE OF THE FOLLOWING LINKS BELOW to learn how you can begin the journey to your career path! The School of Lifelong Learning awards the Bachelor of Science in Professional Interdisciplinary Studies. The degree program is housed in the Department of Professional Interdisciplinary Studies. This program is directed by the Interim Director of Lifelong Learning who is assisted by the Interim Assistant Director of Lifelong Learning/the Director of Special Academic Credit Programs. The School draws upon faculty from the University and adjunct faculty from various government, community and educational agencies for the delivery of instruction. The Bachelor of Science in Professional Interdisciplinary Studies is an interdisciplinary program for the mature adult who seeks a nontraditional method of obtaining a bachelor’s degree. This 124-semester hour, cohort based degree program provides two study options: (1) General Interdisciplinary Studies and (2) Professional Interdisciplinary Studies with emphasis in one of three (3) professional concentrations (Commercial Recreation and Resorts, Faith Based Leadership, and Human Resource Development). Achieve personal and professional objectives of earning a university degree. Expand their knowledge and understanding of the relationships among the areas of humanities and fine arts, natural sciences, social and behavioral science. Develop the ability to read, interpret and evaluate the work of scholars in their chosen career field. Design and apply research skills in the study of career related problems. Manage at a comfortable level family and work responsibilities while successfully pursuing college studies. Communicate effectively and reason critically when confronted with issues. Meet all requirements for the baccalaureate degree including the demonstration of skill proficiency in disciplined academic inquiry. Graduates will demonstrate verbal and written communication skills through debate, presentation of research projects, and required university testing (English Proficiency Examination). Students will understand and apply qualitative and quantitative approaches of research. Students will demonstrate an understanding of the interdisciplinary relationship among the humanities and fine arts, social and behavioral sciences, and natural sciences in response to workforce trends and societal challenges. Students will demonstrate a minimum of six leadership and ethical traits for diverse global and regional markets. Graduates will demonstrate proficiency (scoring 90 and above) in the use of technology for inputting, collecting, and analyzing information and developing presentations and other forms of communication. This option prepares students to engage in a broad spectrum of employment opportunities including work in business, government, education, human services, industry, entry level international relations and social and economic affairs. Additionally, the program is flexible enough for students to customize studies for emerging positions and organizations in today’s society. This specialization prepares students for entry-level administration, human relations and leadership positions at casinos, convention centers, cruise ships, resorts, hotels, air travel and other commercial gaming environments. Students will learn skills in events planning, program development and management, conflict resolution, promotions and fiscal practices. This specialization prepares students for faith-based leadership and administration, fiscal management, public relations and economic and community development for a variety of faith-based entities (i.e., churches and non-profit organizations). Students will also develop skills in grantsmanship, fiscal management, presentation and communication, and program development. This concentration provides students with opportunities to develop the skills and competences in areas such as instructional design, training delivery, training evaluation, learning program management, change management, performance improvement, and career management. The Bachelor of Science in Professional Interdisciplinary Studies Degree Program is open to all adult learners who wish to study on a part-time or full-time basis. Students must meet all admissions requirements set forth by Jackson State University and the School of Lifelong Learning. In the Professional Interdisciplinary Studies Degree Program, a maximum of 30 semester credit hours may be granted for satisfactory performance on the College Level Examination Program (CLEP) of the Educational Testing Service or prior successful post-secondary education at an accredited institution where a grade of C or better was obtained. Students are required to participate in an internship or field based research program. These supervised activities will be a valuable work-learn experience in a professional environment outside of the classroom where students can explore career areas, gain practical skills and make industry contacts. Students who choose to receive a Bachelor of Science in Professional Interdisciplinary Studies with an emphasis in General Interdisciplinary Studies must choose at least nine (9) three (3) semester hour courses in one of the following areas: Communications, Humanities and Fine Arts, Natural Sciences, Education, Social and Behavioral Sciences or Health and Physical Education to fulfill the requirements of the degree. Students are required to work with an advisor to insure that all requirements are met in accordance to the outline of the degree program. Concentration: General Interdisciplinary Studies2Students may complete 27 hours from the following areas. Students must maintain an academic grade point average of 2.50 in order to have their award renewed each semester. For additional information, please contact the School of Lifelong Learning (601) 432-6234. Financial assistance is available to eligible students who are admitted to Jackson State University through the School of Lifelong Learning. In addition to financial assistance and scholarship programs offered by the University and the Mississippi Legislature, the School of Lifelong Learning makes financial resources available to students who apply according to program guidelines. Qualified nontraditional high school graduates (17 to 24 years of age) and undergraduate adults (25 years of age or older), may receive support in the forms of work aid, tuition assistance, and/or book vouchers. All awards are based on the availability of funds. 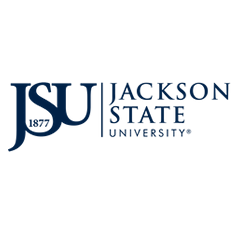 Prior to the awarding of the financial assistance, students must show evidence of admission to Jackson State University for academic credit course work and meet the State of Mississippi’s residency requirements as set forth by Jackson State University. In addition, students must meet all requirements outlined by the School of Lifelong Learning.